Pull a more unique seating option up to your dining table with this transitional style bench. It features a warm two-tone finish and homey trestle base to give your decor that comfortable atmosphere you're looking for. Plus, a dining bench is a useful way to give yourself more seating than chairs can. 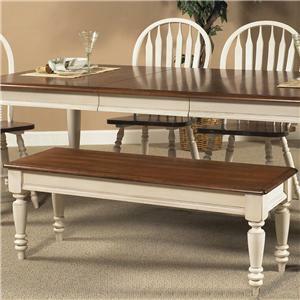 The Lindsey Farm Transitional Two-Toned Backless Bench by Liberty Furniture at Dinette Depot in the Brookfield, Danbury, Newington, Hartford, Connecticut area. Product availability may vary. Contact us for the most current availability on this product. 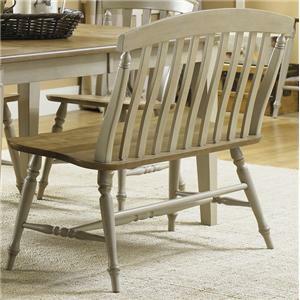 The Lindsey Farm collection is a great option if you are looking for furniture in the Brookfield, Danbury, Newington, Hartford, Connecticut area.